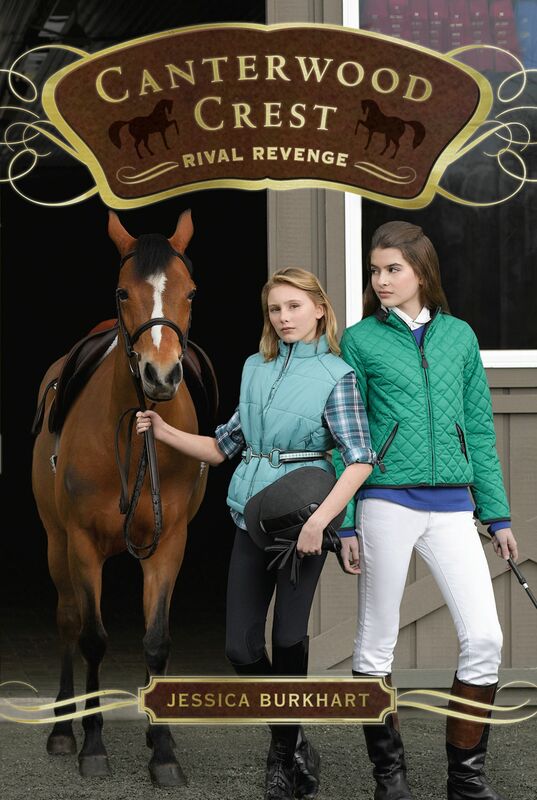 In Rival Revenge, the truth is out about whether Julia and Alison really cheated on the test that got them kicked off the riding team. Now they’re back, and this time, they’re not just in it to win it—they’re out for revenge. A dish that’s definitely best served cold. 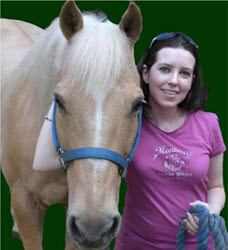 CHARM’S HOOVES POUNDED AGAINST THE indoor arena floor and helped drown out my own unwanted thoughts. He gathered himself, surged into the air, and bounded over the vertical with red-and-white-striped poles. We flew by the windows in the arena. Not even a hint of light came through—it was barely five thirty in the morning. I’d been at the stable since four forty-five. My chestnut gelding and I were the only ones here. Monday morning lessons for the advanced team wouldn’t start for another hour or so. My chest tightened at the thought. Callie and Eric would be here soon. I urged Charm to keep up his canter. I didn’t want to think about Callie, the best friend I’d lied to in order to protect her from the truth and had lost anyway. And I couldn’t even begin to think about Eric, my amazing ex-boyfriend who had witnessed something so horrible it had ruined our relationship and any possible chance of us getting back together. I’d barely slept for the past two nights and I was edgy and exhausted—ever since my little white lies had all come crashing down around me at my birthday party on Friday night. Charm and I had been practicing almost nonstop all weekend. It kept me busy and away from my other BFF and roommate Paige, who didn’t believe my story about my initiating the kiss with Jacob. Paige wouldn’t stop asking me about it, so I’d spent as little time in our room as possible all weekend. But on Canterwood Crest Academy’s campus, there were few places to escape. I looked up just as Heather Fox walked into the arena. Heather, the leader of the Trio, was my enemy most of the time, but she’d helped me out the night of the party. I slowed Charm to a trot, then a walk. Heather’s blond hair was pulled into a low ponytail and she had on black yoga pants and a casual T-shirt. She didn’t have a lesson this morning, so why was she here? I stopped Charm in front of her. Heather folded her arms and started at me—her ice-blue eyes seemed to cut right through my thoughts. Heather made an Are you kidding me? face. I silently agreed—my argument was weak. Heather stared at me for a long second. Like Paige, she’d known I’d been lying that night. But it couldn’t. If Callie found out that Jacob had kissed me and had been trying to get me back since before summer vacation, she’d be devastated. I’d rather Callie lost our on-again-off-again friendship than her very first boyfriend who, when all was said and done, was a really amazing guy. Just a little … confused. She walked out of the arena. I took a breath and looked out the door after her. I could leave right now and go get ready for class. Charm was probably tired after three days of nonstop practicing. But instead, I turned him toward the arena’s center and urged him into a trot. We had a few dressage moves to work on. There were plenty of other things to practice and I wouldn’t be going back to my room until the last possible minute. Heather had been wrong about one thing—riding was everything now. It had to be.